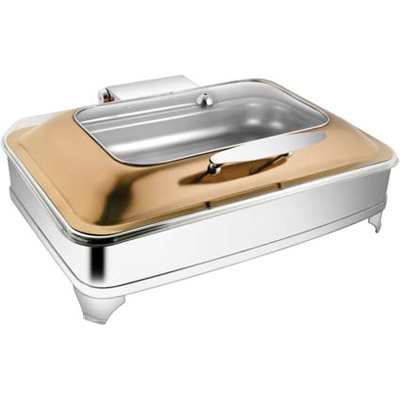 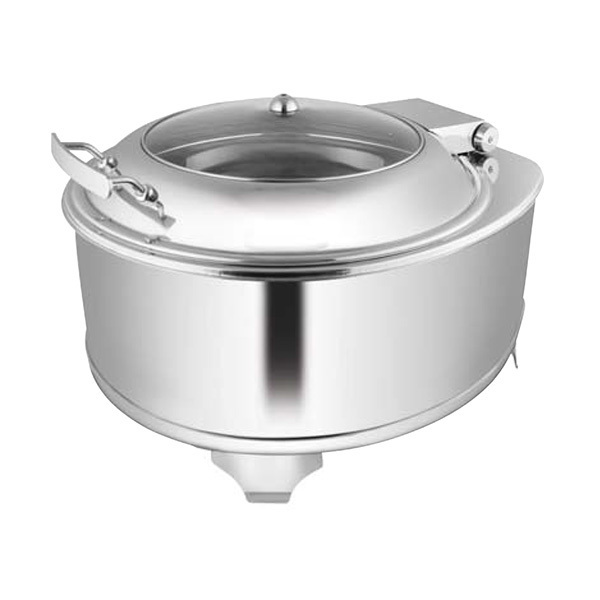 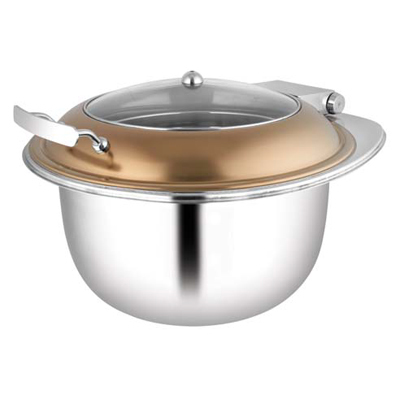 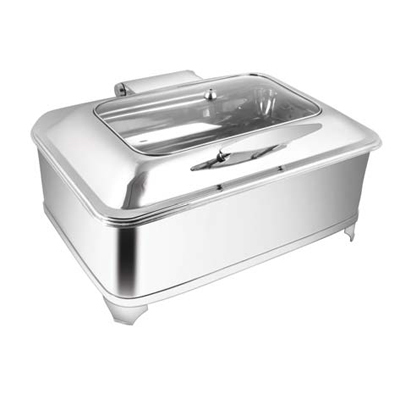 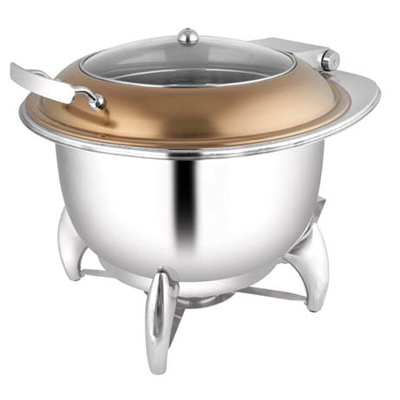 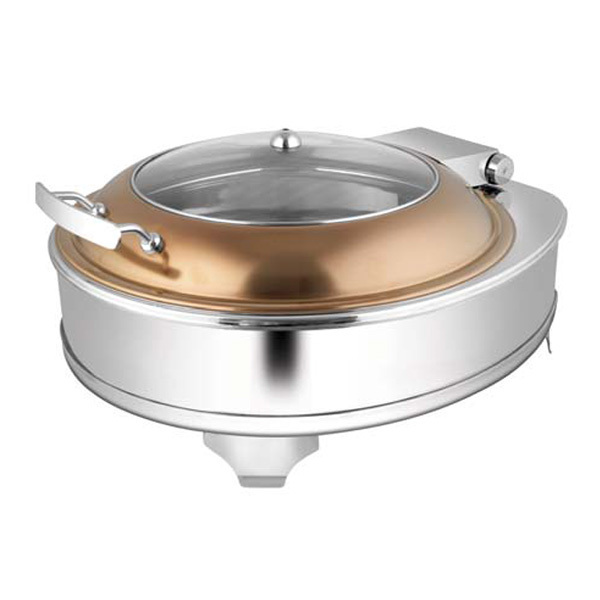 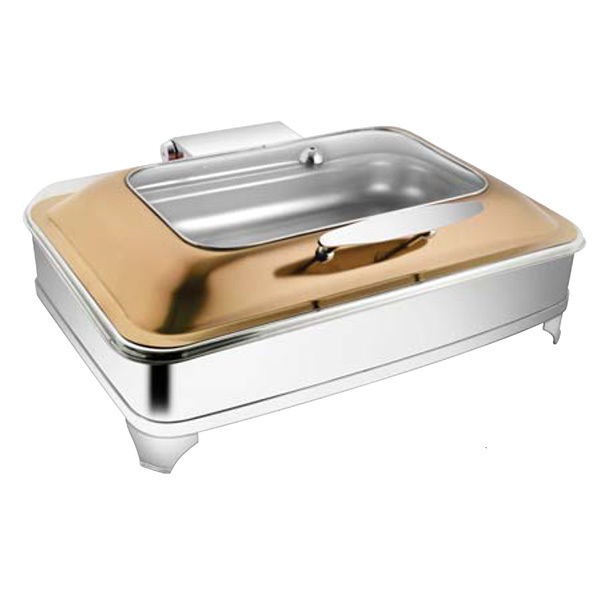 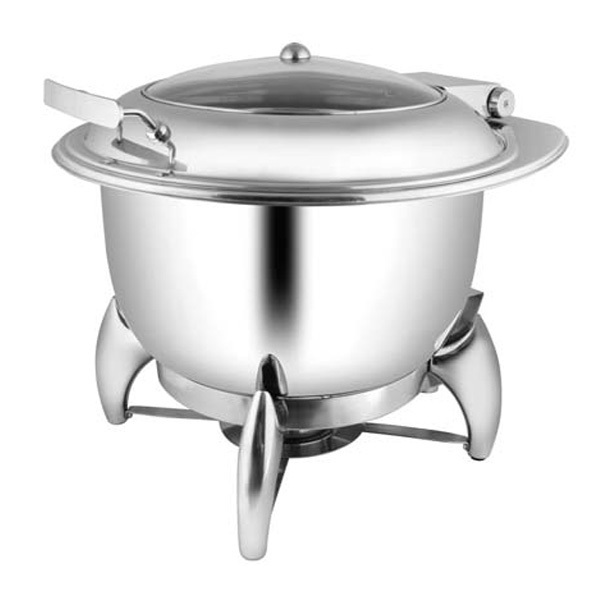 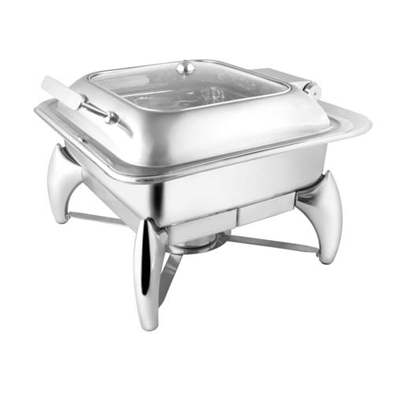 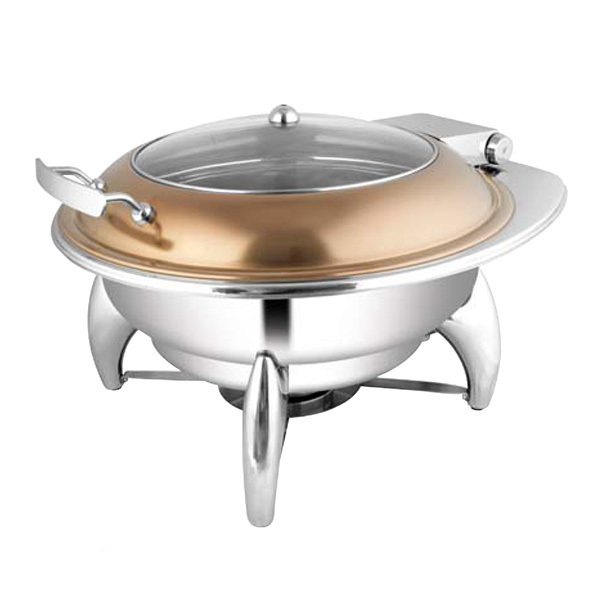 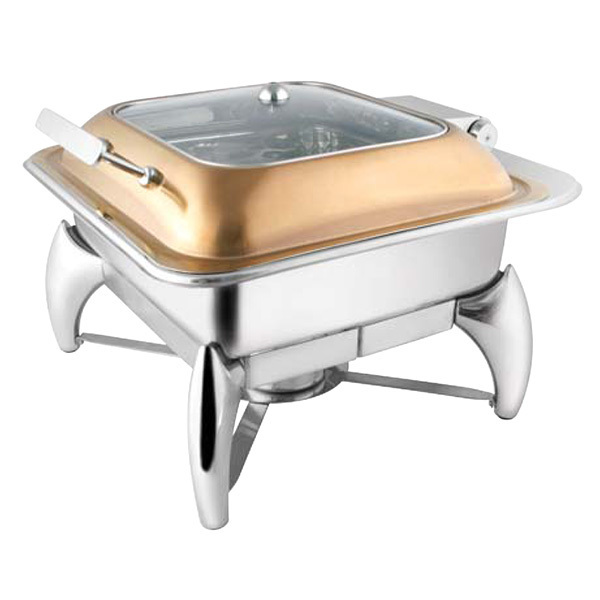 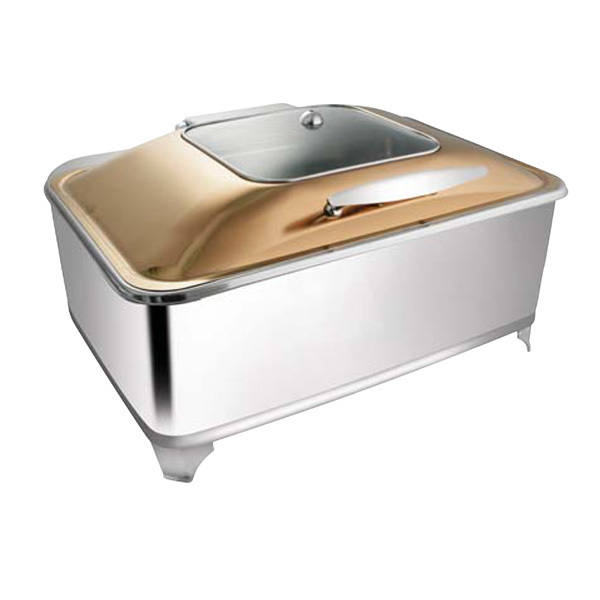 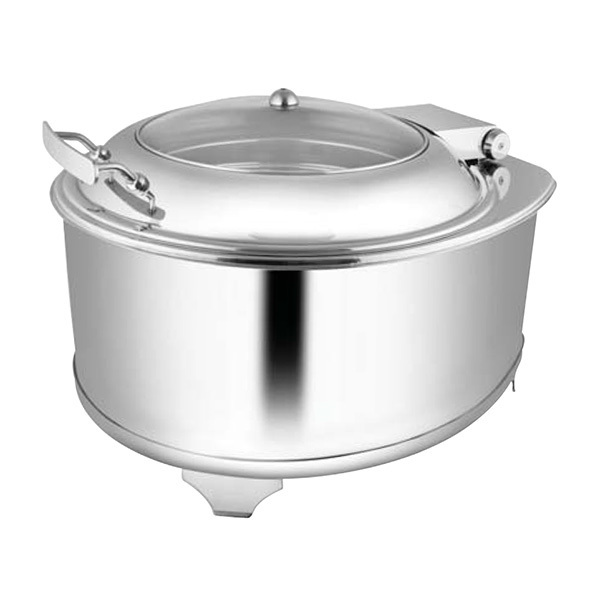 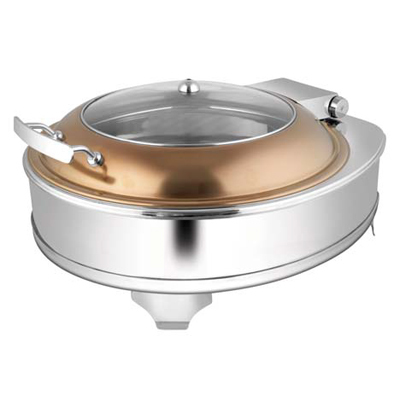 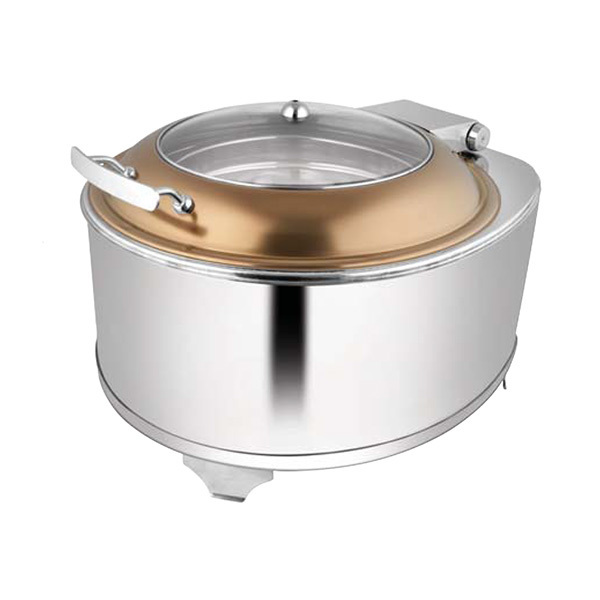 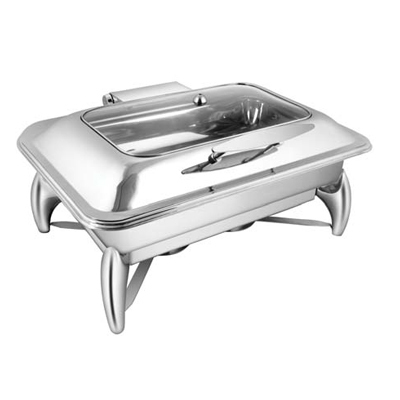 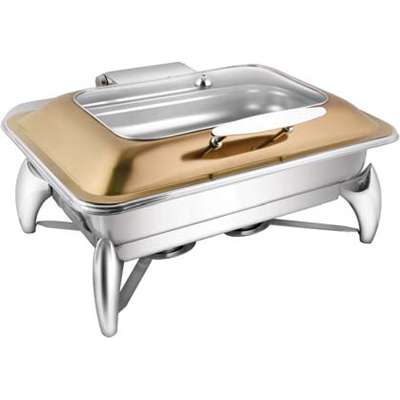 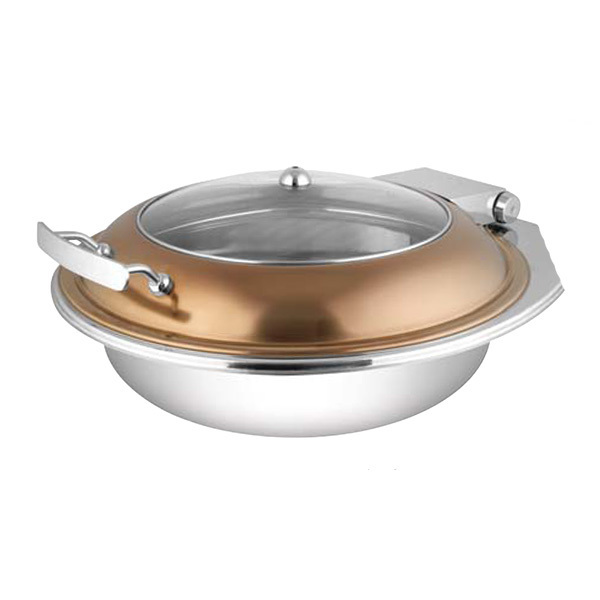 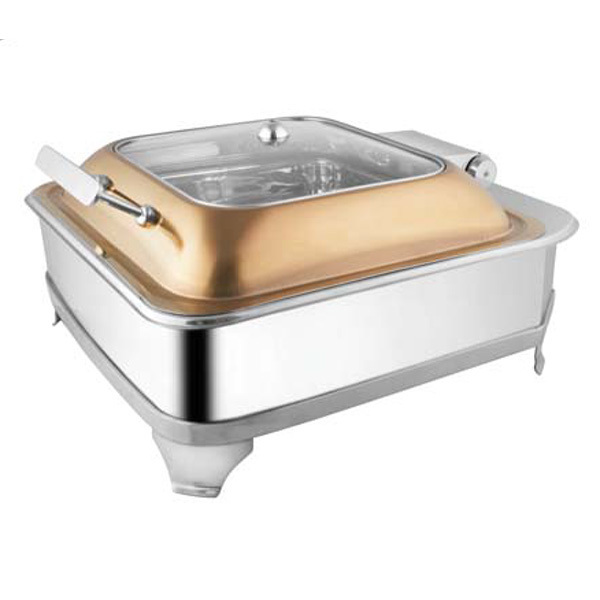 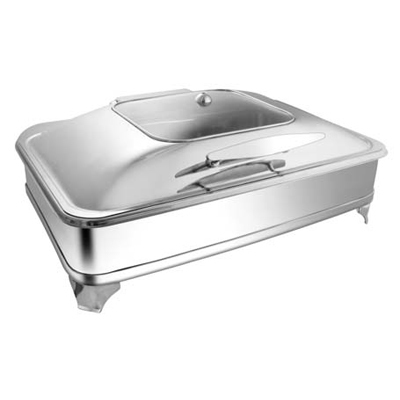 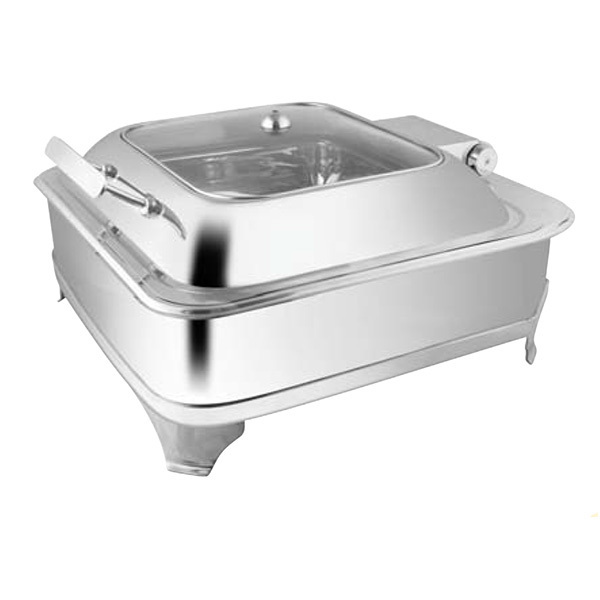 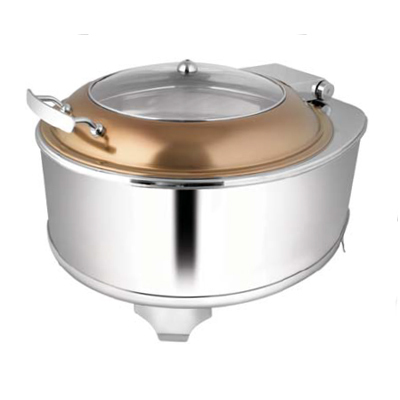 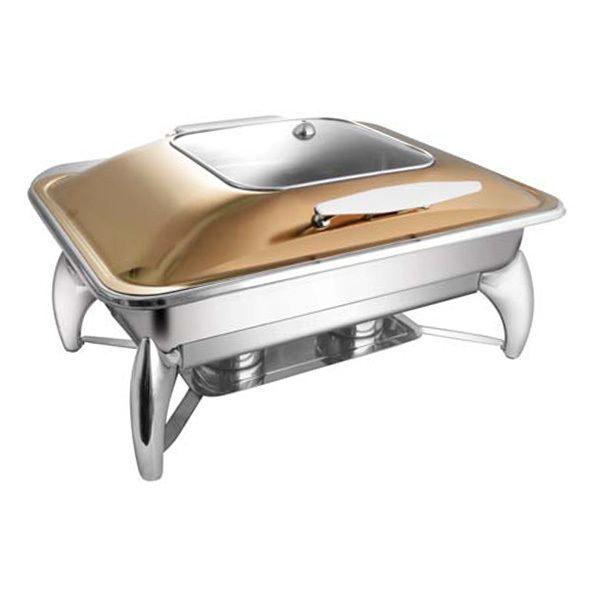 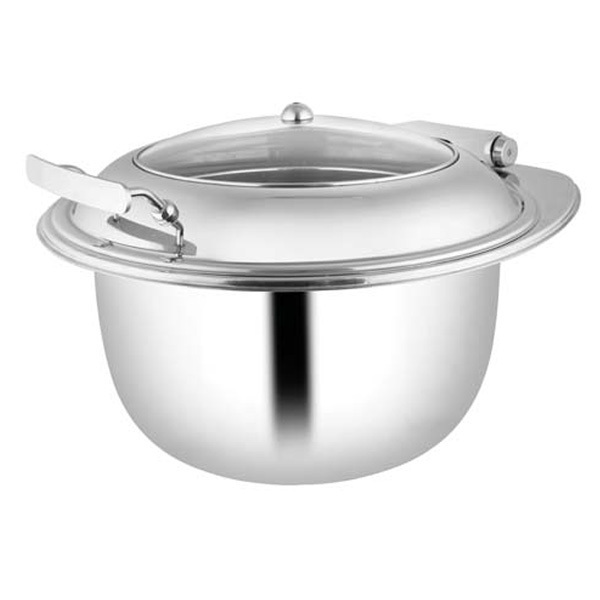 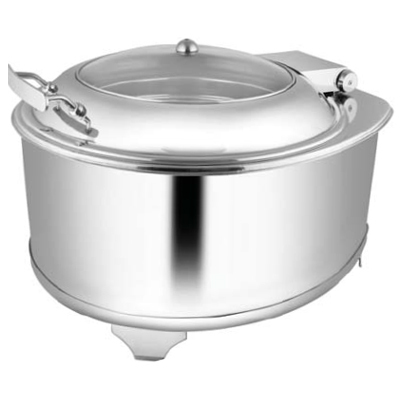 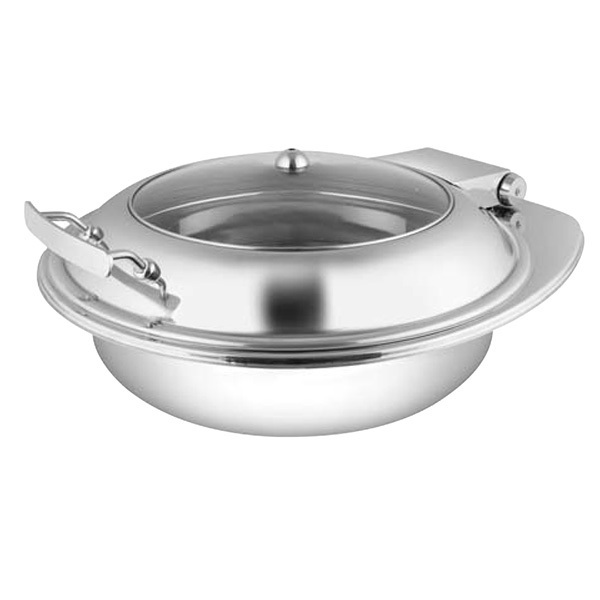 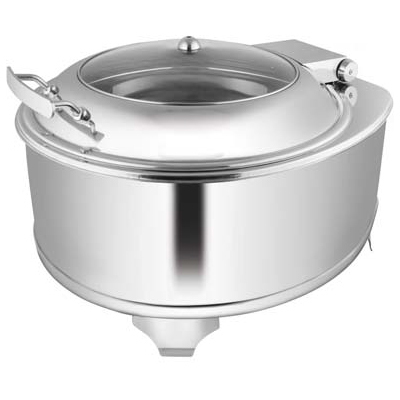 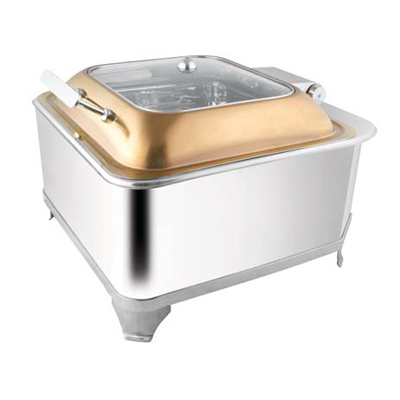 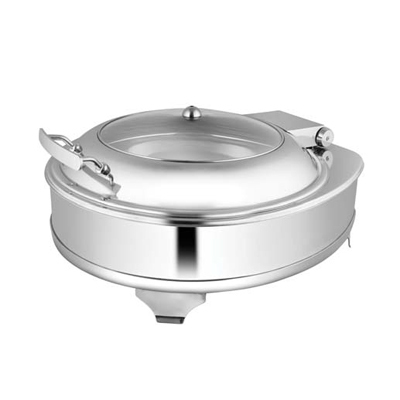 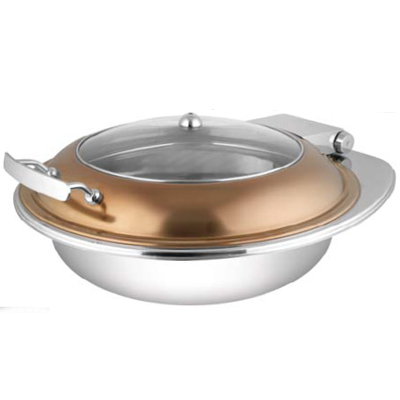 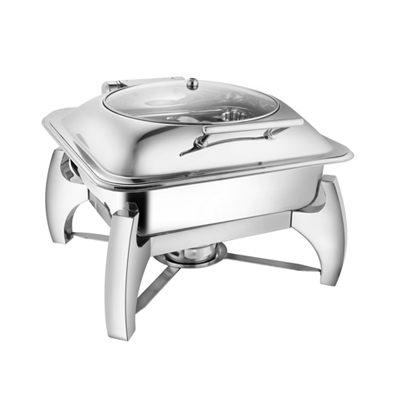 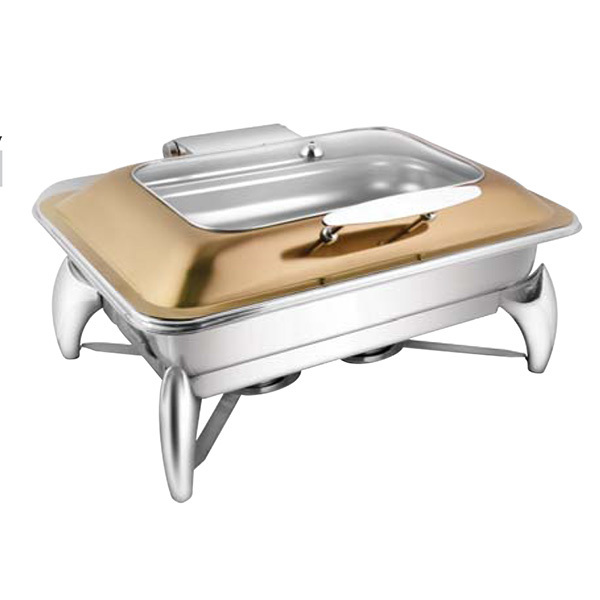 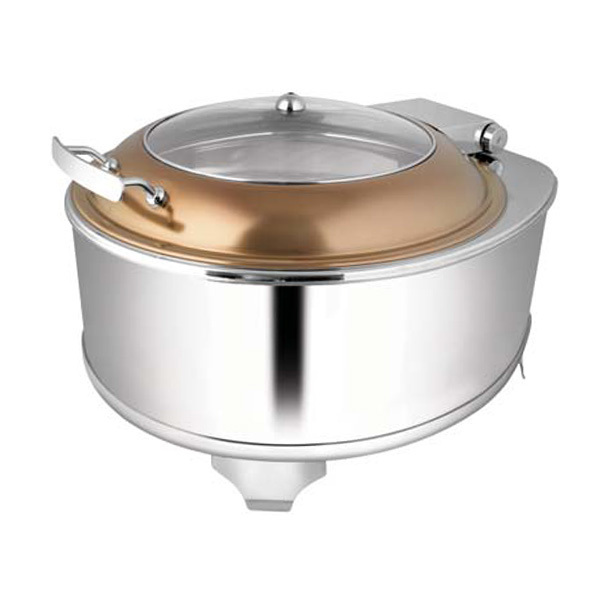 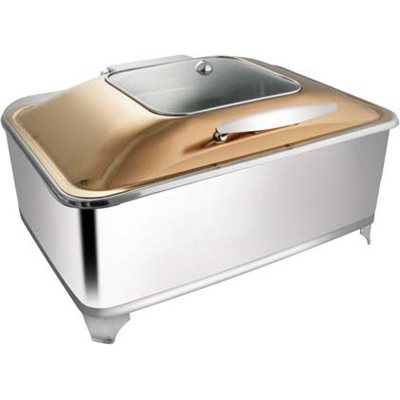 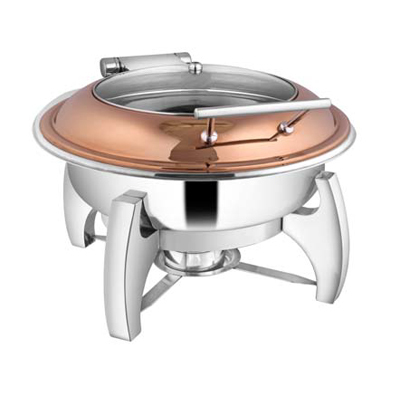 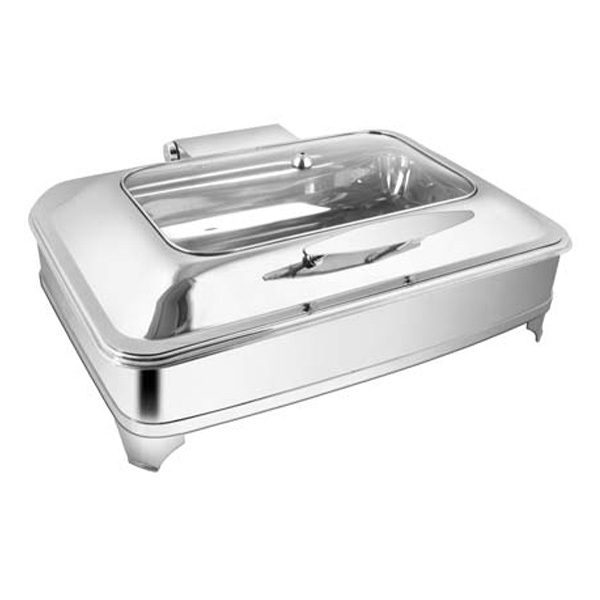 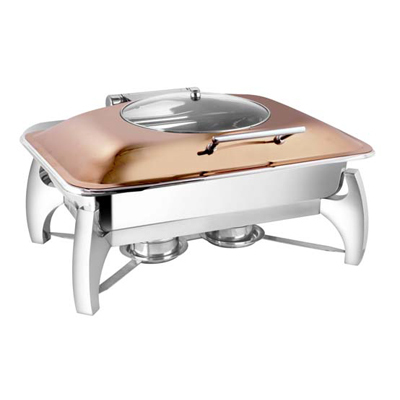 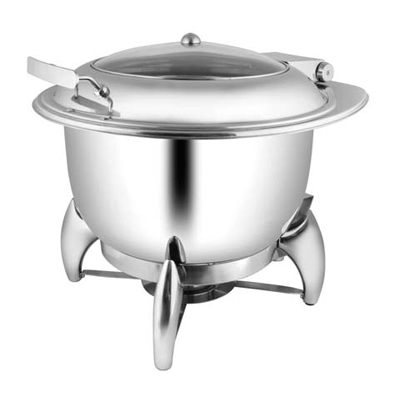 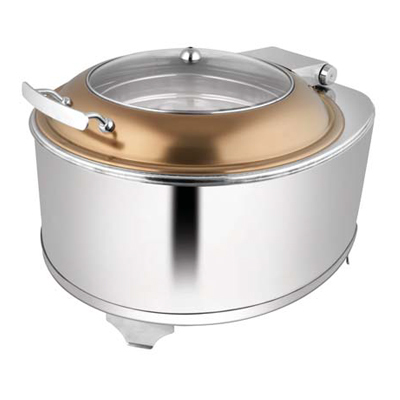 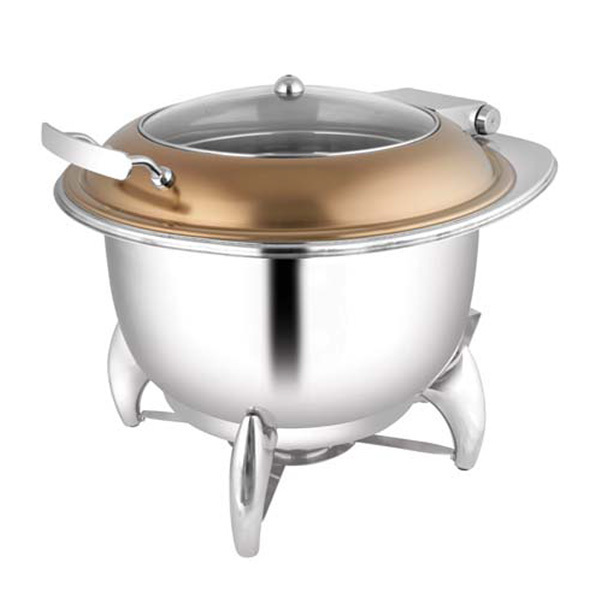 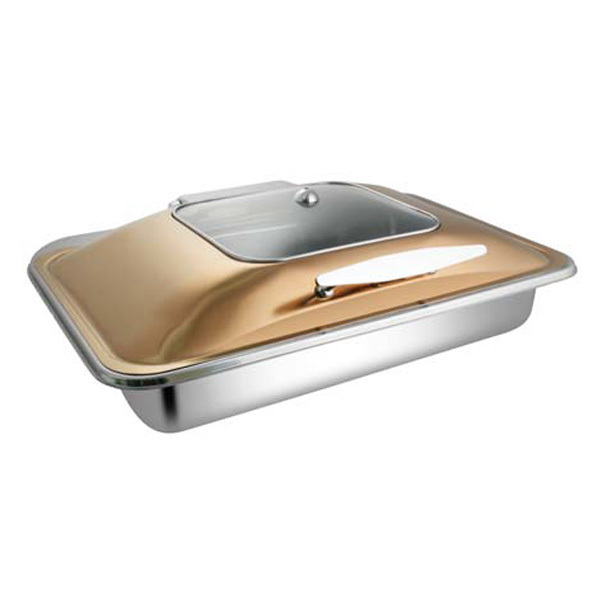 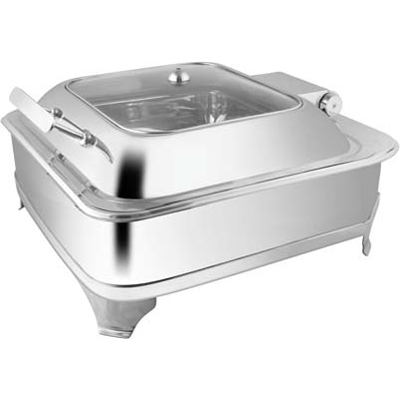 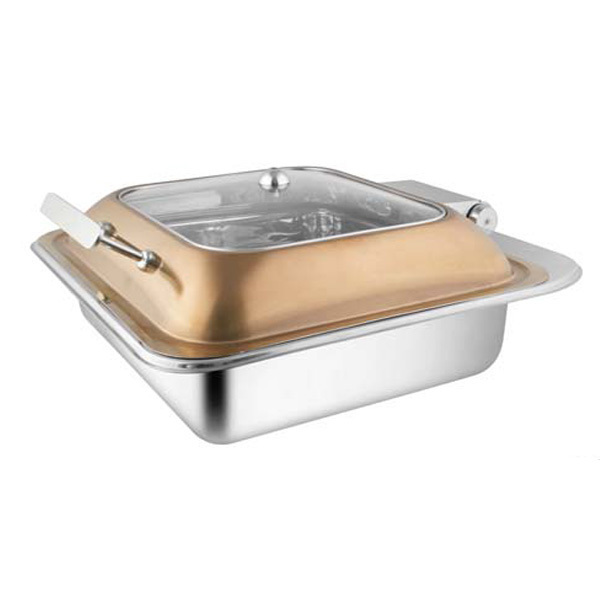 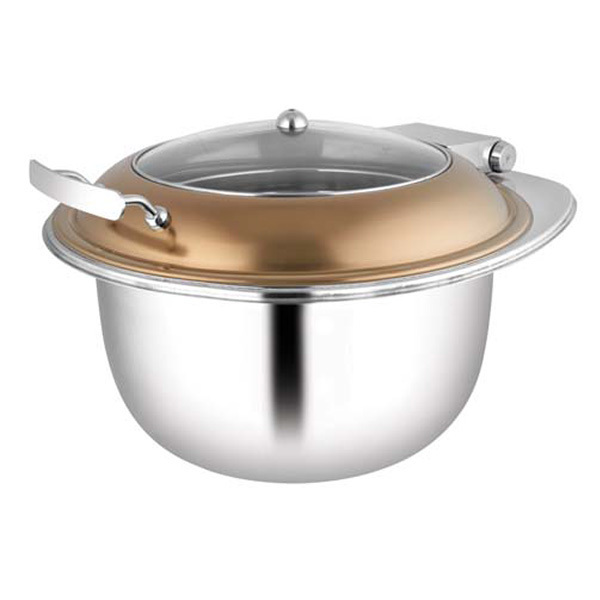 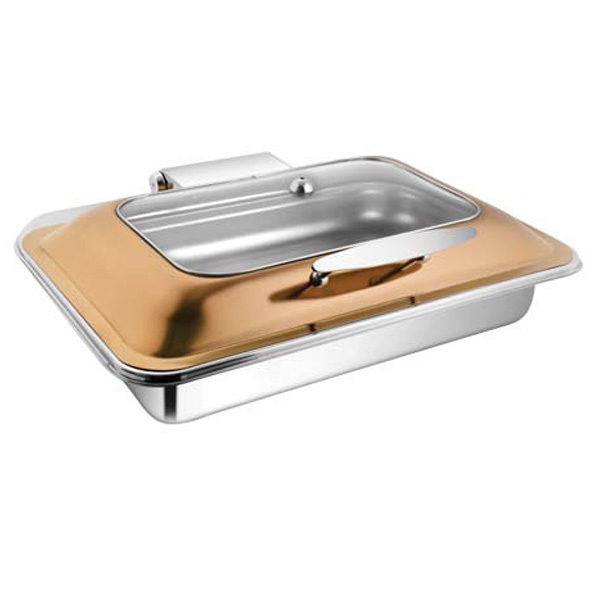 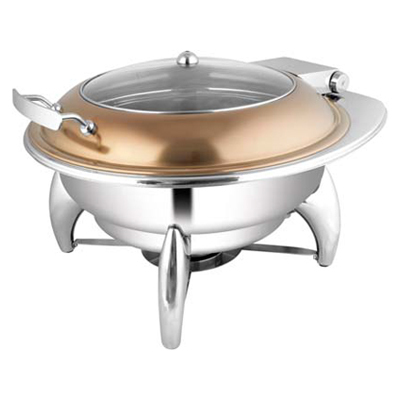 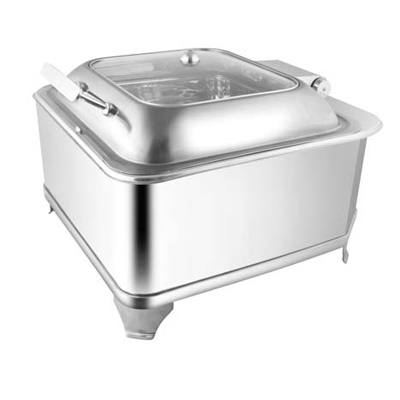 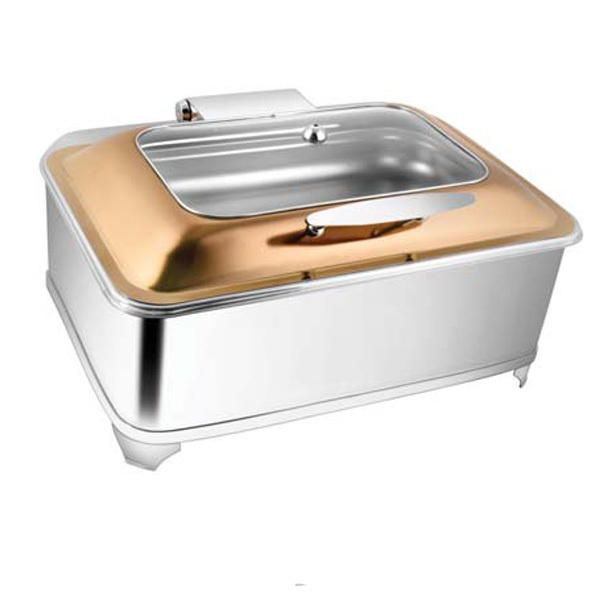 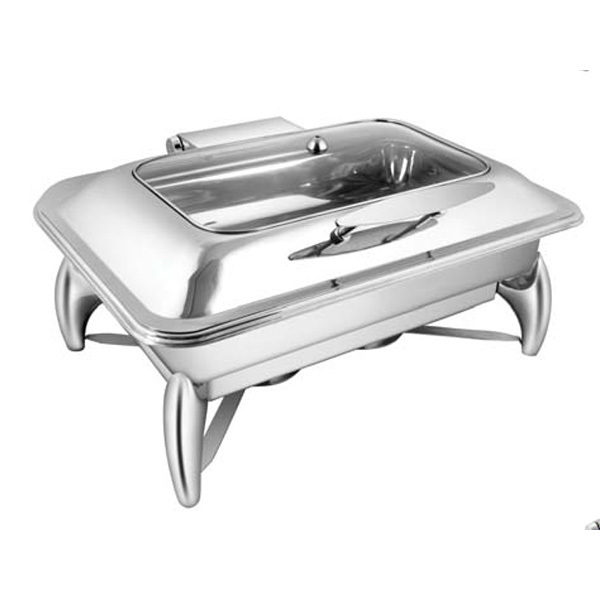 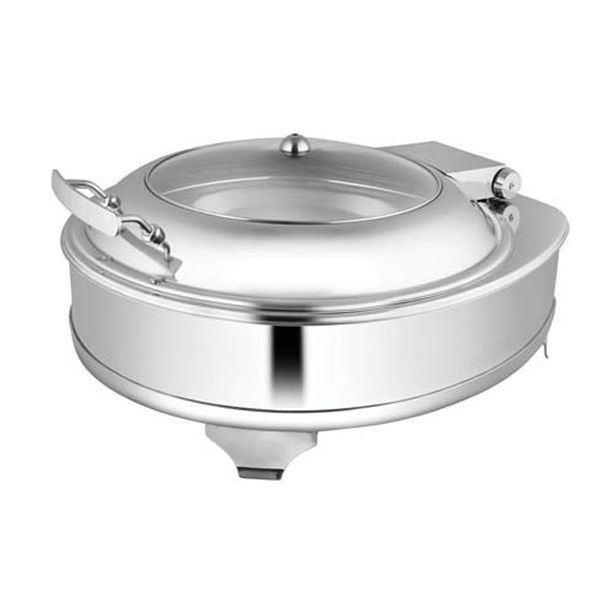 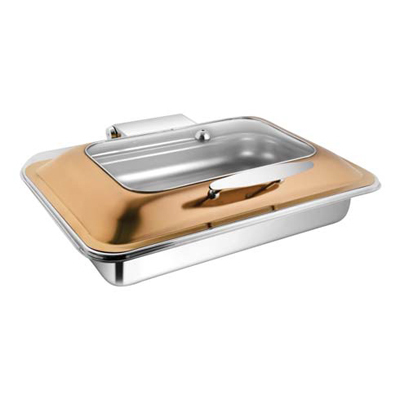 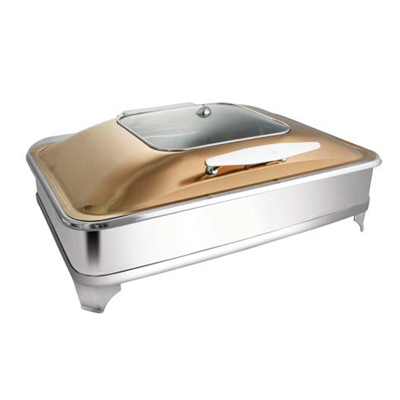 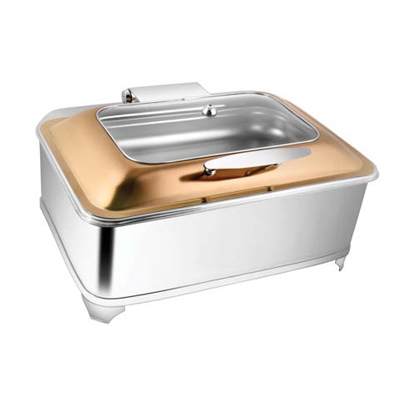 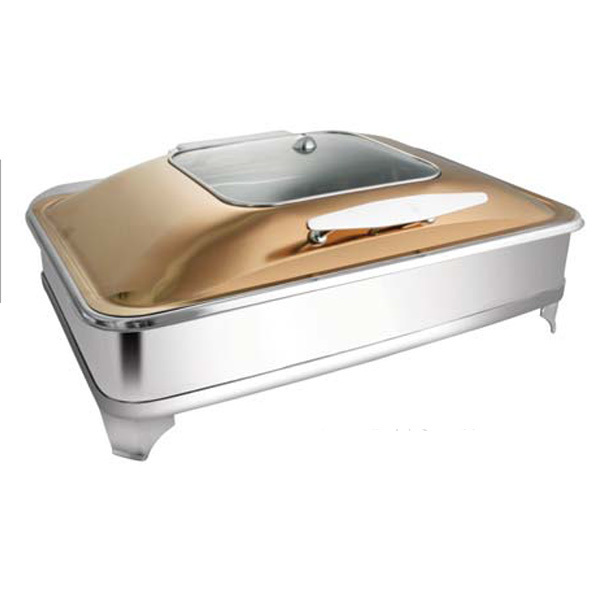 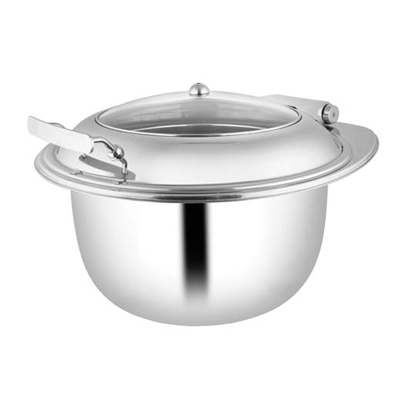 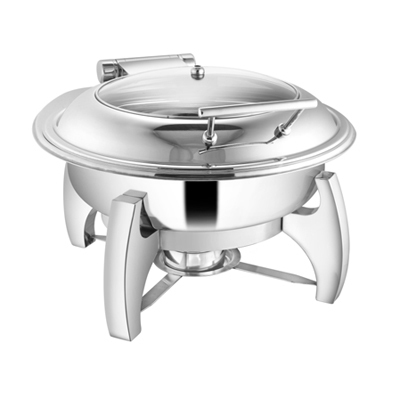 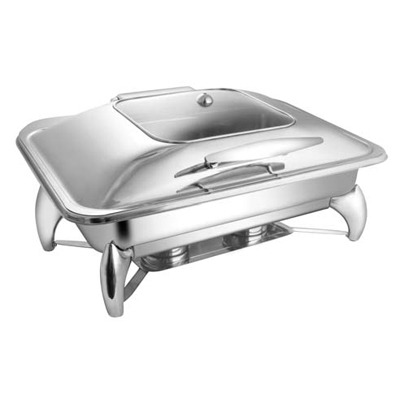 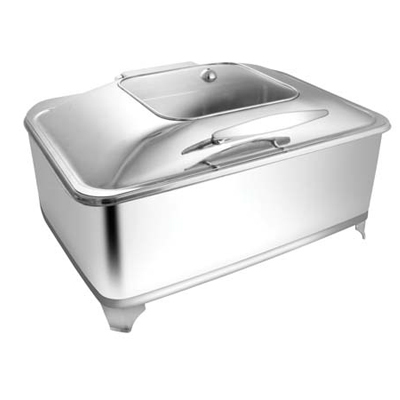 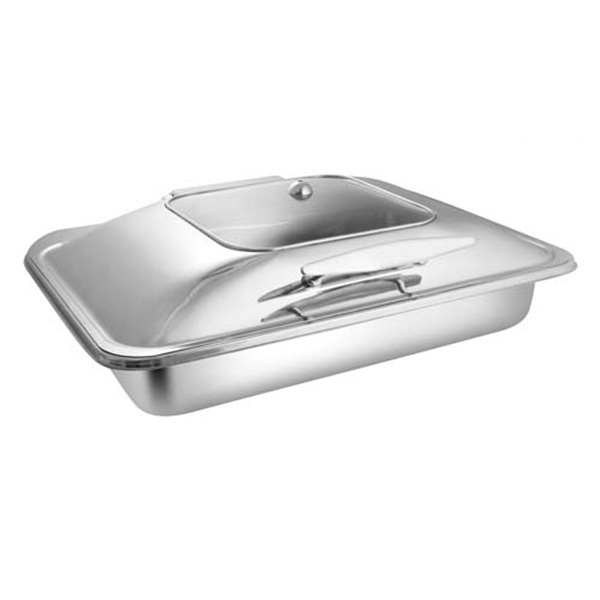 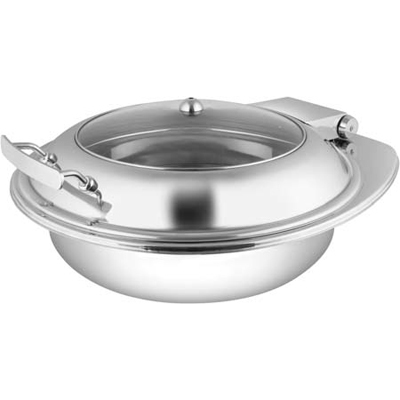 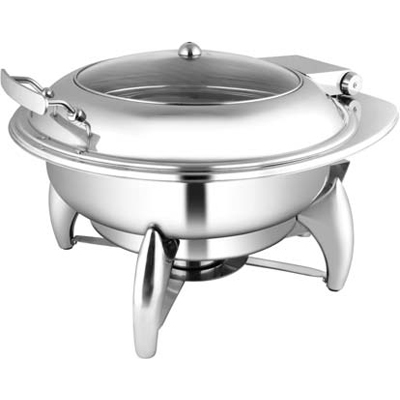 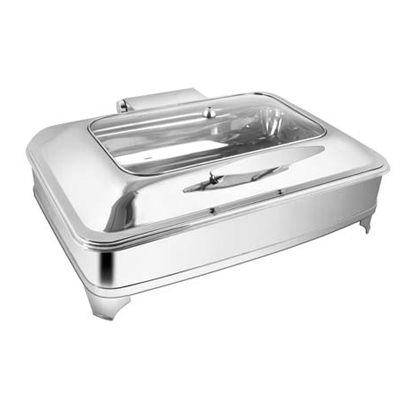 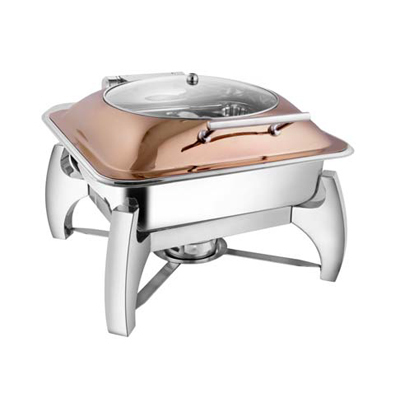 A Chafing Dish is a portable grate kind raised on a tripod designed for foods that need gentle cooking. 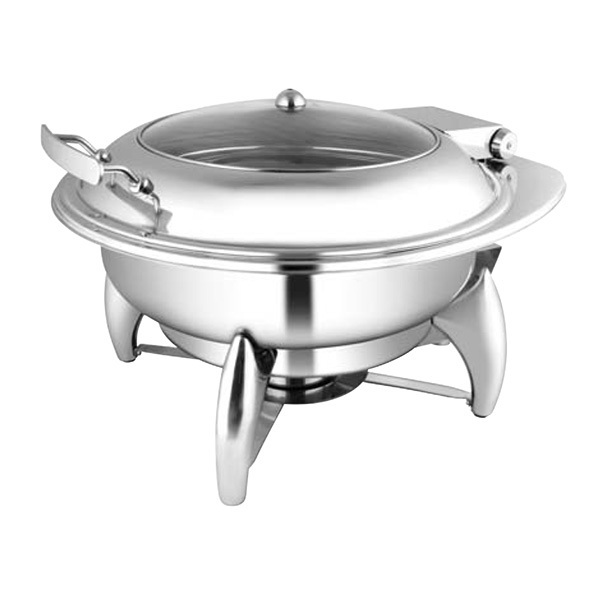 It can be easily placed at a table in events, marriages, birthdays and other functions to keep the food warm on a buffet. 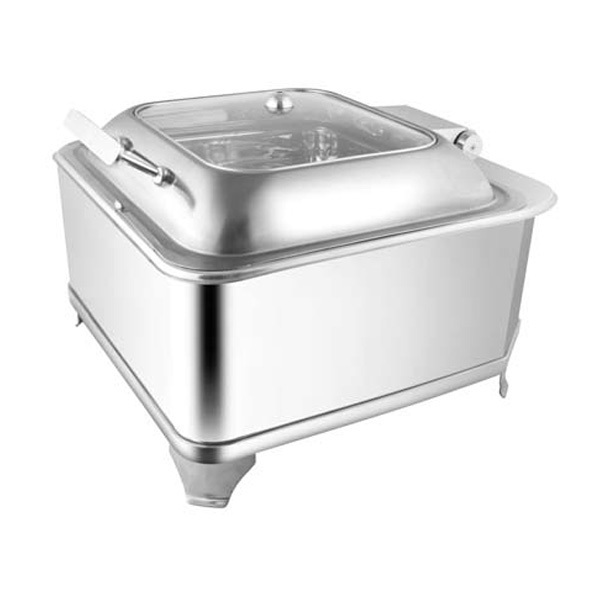 It is designed with a suitable and durable cover to provide complete safety to the food from any kind of dust, dirt, etc. 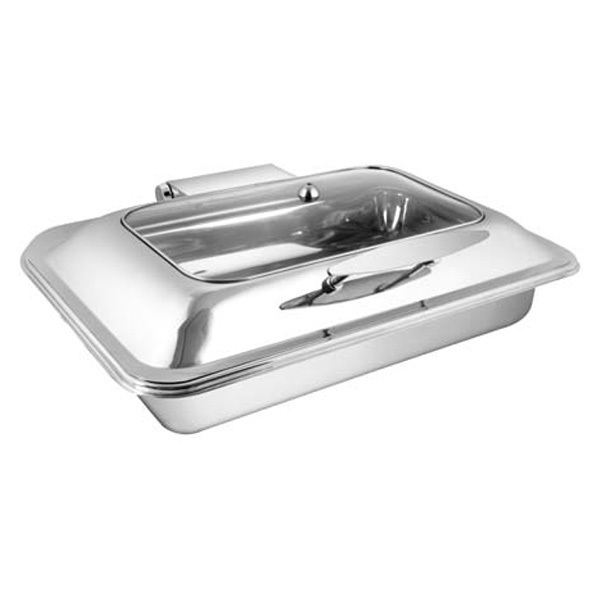 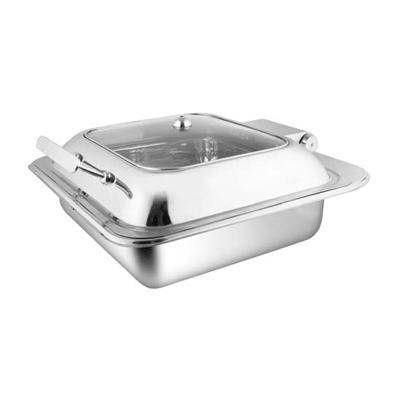 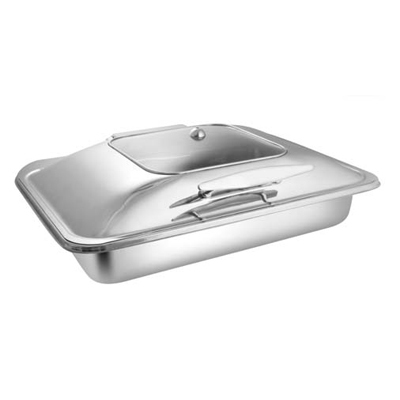 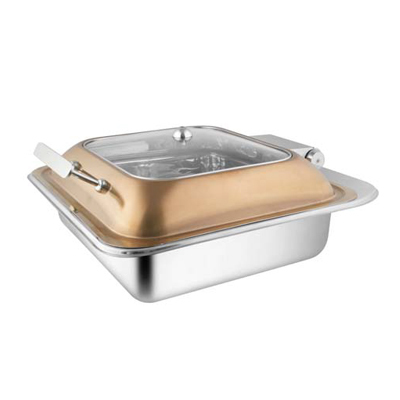 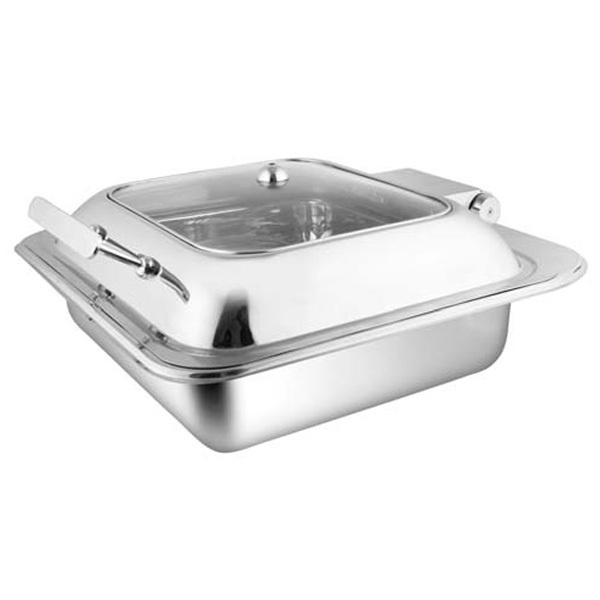 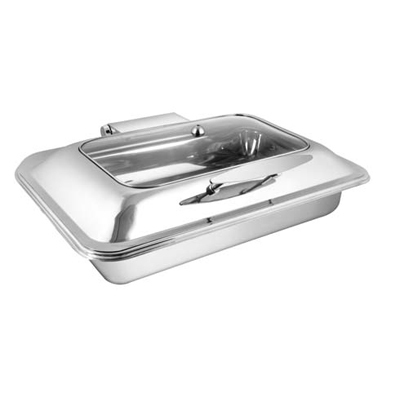 in addition to this; it is designed with double steel sheet to keep the delicate foods warm without overheating. 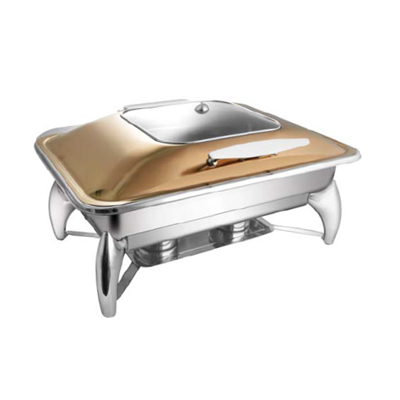 It can be availed in different shapes from square, rectangular to circular in a range of finishes like mirror, matte, satin, gold, brass, etc. 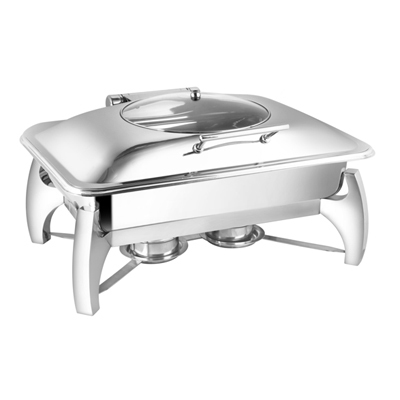 © 2015 Regency Hotelware .All Rights Reserved.